The five most common digestive cancers – colorectal, gastric, pancreatic, liver and oesophageal cancer – are responsible for over 590,000 cases each year in the EU. If current population trends continue, the number of deaths from these cancers across the EU per year will increase by over 40% by 2035. Approximately half of all cancers are preventable and their significant burden could be reduced by addressing lifestyle factors, such as rising levels of obesity and heavy alcohol consumption. Obesity, for example, is quickly overtaking tobacco as a health risk and is the leading preventable cause of cancer and substantially threatens the sustainability of public healthcare systems. In addition to the threat posed from digestive cancers and obesity, experts are also warning of the socioeconomic burden inflicted by functional GI disorders, such as irritable bowel syndrome (IBS) and constipation. Functional GI disorders are common conditions that can be extremely disabling for patients, yet sufferers often do not consult their physician about their symptoms. They are associated with educational and occupational absenteeism, imposing high costs to society, and are expensive to treat and manage. Treating IBS in Germany alone, for example, is estimated to cost over €3.2 billion per year. Current predictions, trends and attitudes demonstrate that the challenge presented by obesity, heavy alcohol consumption and poor nutritional choices is increasing and urgent action is required to reduce this burden and improve health outcomes in generations to come. 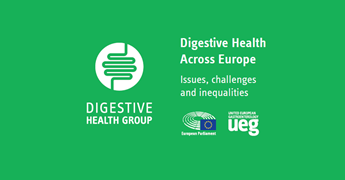 To address this difficult challenge, policymakers and digestive health experts will meet today in the European Parliament to inaugurate the MEP Digestive Health Group. 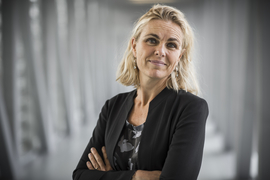 The group’s overarching mission is to ensure that continually improving digestive health becomes and remains an integral part of the EU health agenda, serving as a platform of exchange between the scientific community and policymakers. Professor Markus Peck is Chair of the UEG Public Affairs Committee and former Secretary General of EASL (European Association of the Study of the Liver). 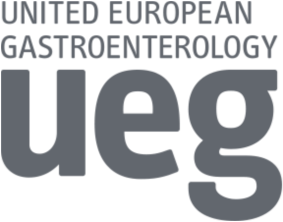 UEG, or United European Gastroenterology, is a professional non-profit organisation combining all the leading European societies concerned with digestive diseases. Together, its member societies represent over 25,000 specialists, working across medicine, surgery, paediatrics, gastrointestinal oncology and endoscopy. This makes UEG the most comprehensive organisation of its kind in the world, and a unique platform for collaboration and the exchange of knowledge. 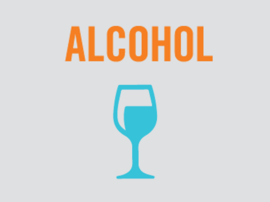 Alcohol consumption is a major public health concern and Europe has the highest levels of drinkers in the world, especially in Eastern Europe.